Advertising is great for business. It’s how you introduce your company and your brand to new customers. It is how you announce new products. It’s how you increase your sales. Traditional advertising refers to paper and posters. You find traditional advertising on between television shows and before movies. Traditional advertising means you pay a company to place your ad on their property or on their airtime. Digital advertising, however, means advertising directly to your customers. 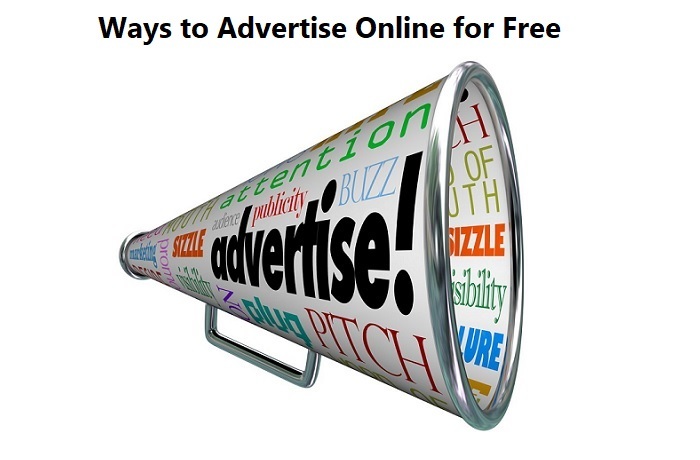 Today, we are sharing some useful tips and Top Five Effective Ways to Advertise Online for Free. With the power of social media, you can build a loyal following that you can advertise to day after day. Instagram, Facebook, Pinterest, and Twitter are all tools that you can use to grow your community. Create a brand persona that you can use to communicate and help your customers directly. The more communicative, the more value you will provide to your community. One of the biggest mistakes you can make it to only post advertisements to your followers. You want to post eye-catching and valuable content. On Facebook, for instance, post a mixture of photographs, videos, links, and status updates to inform, educate, and entertain your audience. When you do create promotional content, make a banner that is visually appealing to get the most engagement. Once you are posting great content on your social sites, you’ll have a valuable account for new people to follow. This is when you should subscribe to ads campaigns. These campaigns allow you directly target your ads (or even pre-made content on your social media accounts) directly to people who would be interested in your brand. If you appeal to young women in a certain area, for instance, all you need to do is change the demographic settings. When you advertise, you shouldn’t go for the hard sell. Instead, try to get an email so that you can further add value to your customers through email marketing. This means giving them VIP deals like a discount for their birthday, notices of sales, and suggestions for your products. Like anything, refrain from spamming your customers with cheap advertisements. Your reputation is everything online. Build it by being a company that posts valuable, great content and one that communicates clearly and promptly with your audience. When someone has a complaint, address it – don’t delete it. Be genuine and honest with your responses – people are more willing to forgive your brand for a mistake if you are honest with them about it. Be a quality brand, and bring in real, genuine customers and increase your engagement. Online advertising is not very different from traditional advertising, however, when you advertise online, you are starting a dialogue, rather than sharing an elevator pitch. When you communicate correctly and effectively, you grow a loyal community of repeat customers.